Great starter home in the heart of Westminster. Updated double pane windows, vinyl /brick siding, roof, electrical panel, AC, granite kitchen counter tops, upstairs bathrooms, garage doors, new shed in the back yard...However, needs some TLC and updating. 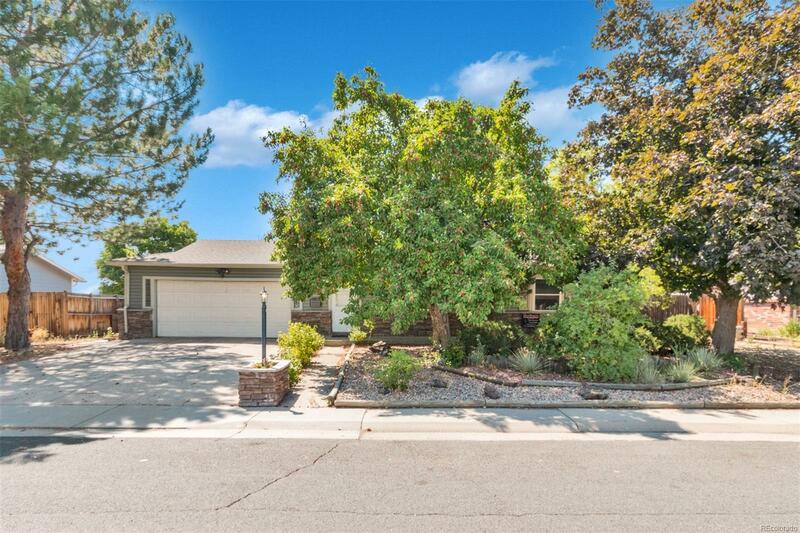 Home also offers an over sized 2 car garage, RV parking, a basketball court in the back yard. Front yard is landscaped and maintenance free, fenced-in back yard that needs work. Established neighborhood, mature trees, walking distance to Sunset Ridge Elementary school, parks and trails. Close to HWY 36, I-25. 2 basement bedrooms are non-conforming.